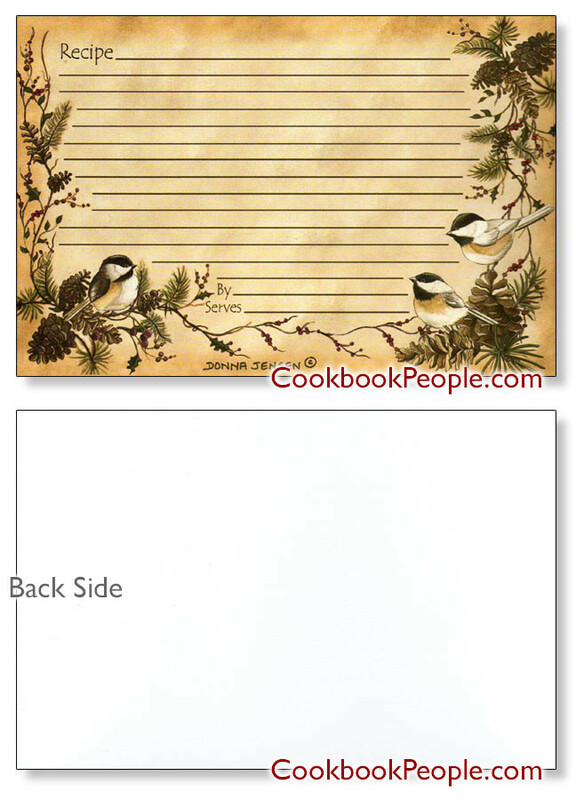 Chickadees in the Pines Recipe Card 4x6"
18 quality American made cards per pack. Printed on recycled paper with soy based inks. By designer Donna Jensen. Winter Chickadees Recipe Card 4x6" 18 quality American made cards per pack. Printed on recycled paper with soy based inks. By designer Donna Jensen. Cookie Crumbles Recipe Card 4x6" 18 quality American made cards per pack. Printed on recycled paper with soy based inks. By designer Donna Jensen. Gingham Cherry Recipe Card 4x6" 18 quality American made cards per pack. 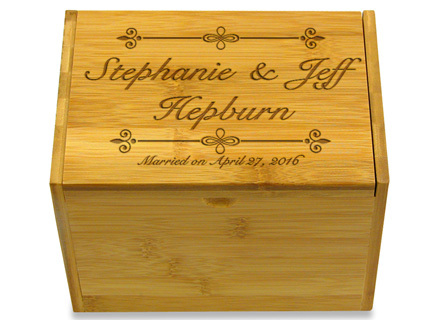 Printed on recycled paper with soy based inks. By designer Donna Jensen. Chili Pepper Recipe Card 4x6" 18 quality American made cards per pack. Printed on recycled paper with soy based inks. By designer Donna Jensen. Pinecones & Berries Recipe Card 4x6" 18 quality American made cards per pack. Printed on recycled paper with soy based inks. By designer Donna Jensen. Coffeebreak Recipe Card 4x6" 18 quality American made cards per pack. Printed on recycled paper with soy based inks. By designer Donna Jensen. Butterfly Summer Recipe Card 4x6" 18 quality American made cards per pack. Printed on recycled paper with soy based inks. By designer Donna Jensen. Lil' Ladybugs Recipe Card 4x6" 18 quality American made cards per pack. Printed on recycled paper with soy based inks. By designer Donna Jensen.